Inside: A new baby brings incredible sweetness and incredible chaos to your home, all at the same time. But that chaos can’t last forever! Creating a newborn schedule is one of the simplest ways to get your groove back and center yourself in these crazy newborn months. The best part is that you can sync your newborn and toddler schedule so that each child gets the routine they need! Read on to steal my easy tips for making a routine that will work for both your baby and your older child. Everyone tells you that having baby #2 is a whole different animal. But we don’t believe them, huh? With multiple children, our love somehow multiplies exponentially. It’s impossible to explain. Your own mama told you when you were a kid, but you just didn’t get it. Yet, mamas really do love each child equally. But our time? Our time is more divided than ever. There are suddenly two tummies to fill, two pairs of hands to hold, two faces to kiss, two children to carry…. Yet only one mama, and one lap to hold them in! Baby #2 adds a completely different dynamic to the family. I don’t know about you, but when my second baby was born I needed a plan. A plan to help me navigate two sets of needs. A schedule to help me make the best use of my limited time with each child. When my baby girl was born, my son was about three-and-a-half years old. We are so excited to add a sweet baby girl to our little family, too! But suddenly, our relaxed homeschool preschool schedule has been thrown out the window! We needed a preschool or toddler and newborn schedule that will help us get back on track. When I look for advice on scheduling, I’ll often find a bare bones description. A time, a word describing what the plan is. 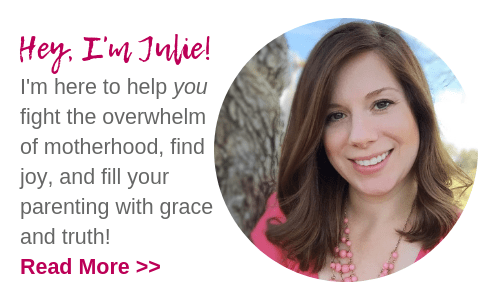 But what I really want, and what I think will help you most, is an inside look of what really happens with our preschooler or toddler and newborn schedule. That’s what I’ve got for you below: an in-depth, real-life look at what our day actually looks like. I hope it’s helpful for you as you navigate inviting your second baby into your family’s routine and daily schedule! 3 Things my Toddler and Newborn Schedule Has to Have! It must set up the baby for good sleeping habits early on. It must allow for quality time with my son for learning and playing. It must provide independent time for both mama and kiddos! I’ve got to have a break during the day. Gotta have it, mama. I want to share with you the toddler and newborn schedule or routine that we are working with right now. Does it always look this way? Absolutely not! I like to think of this as our goal for the day. There’s always a random messy diaper that keep the baby from falling asleep. Or that pesky UPS guy that loves to ring our doorbell when I’m nursing. Or just the necessary tasks and errands that simply must get done. Or a tantrum. Or a missed nap. Or… life! The bottom line is that we have a general three-hour pattern throughout the day. I’m not watching the clock to make sure we’re on schedule to the minute, but it is super helpful for both mama and the kids if we know what to expect. Now, keep in mind that this schedule is for a breastfed baby and a three year old. If you’re using formula, or if your child is older or younger than my oldest, of course you’ll want to adjust these routines to work for your little ones. We also like to limit screen time during the day, so you won’t find “TV time” on the agenda. I know, I know…this seems impossible with a small child and a newborn in the house. But being screen-free adds such a sweet atmosphere to our day! And it frees up time for much more fulfilling things! Are you up for the challenge? Click here to learn how you can tame screen time for good! One more thing… When my baby is hungry, I feed her! Especially if you’re nursing, it’s never profitable to “stretch out” feedings during the day. Try to fill up that tummy as much as possible during the day so that you’re up less at night, even if it means pushing up a feeding schedule. 7:30 AM Wake baby up. Change diaper and nurse. While I nurse, I read my Bible, pray, and try to get my heart and mind set for the day. I’ll keep the baby up for just a few minutes after she eats and burps. Then back in her swaddle and in the bassinet. We love this combo bassinet, changing table, and pack n’ play we received! It’s currently tucked in our bedroom. This is perfect for those early weeks when you’re up every three to four hours at night. I love not having to trek to my daughter’s room to feed or change her. Everything I need is right there a few feet away, which makes nighttime feedings super quick and efficient! The best swaddle (and the only one you’ll ever need) is the Woombie. Read more about why we love the Woombie! 8:00 AM Big boy is up! My preschooler usually wakes right around 8:00. If he does happen to wake earlier while I’m feeding little sister, I’ll just have him snuggle next to me and I’ll read my Bible out loud or tell him a story. We get everyone dressed for the day and snuggle with the baby for a few minutes. 8:30 AM Baby down for a nap. Awake time for newborns is generally one hour at the latest, but often I’ll put her down closer to 30-45 minutes after she wakes. 9:00- 10:30 AM Big kid time. After my son does his quick morning chores it’s time for big kid fun! I like to get outside in the morning, and we usually do a relaxed learning activitiy during this time as well. I’ll read a few books to my son, or we’ll do an activity from my early learning Bible curriculum packs together. 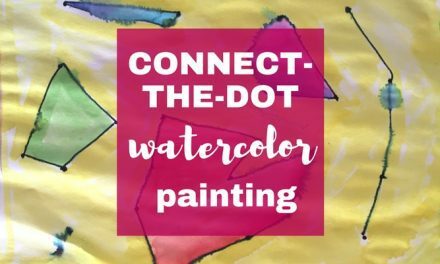 This is also the time when we would do a fun art project or have a blast with hands-on projects. I know I have a billion things that I could be doing while the baby sleeps, but I like to really connect with my older child during the baby’s morning nap. I think it makes a world of difference in his behavior throughout the day. Want a foolproof chore chart plan for your toddler or preschooler? Swipe our favorite chart to make teaching chores easy! 10:30 AM Baby wakes up. Change diaper and nurse. Again, as I nurse I like to have my son sit beside me and read or tell stories. I try not to slink away to another room to feed the baby. Reading a good book with my son while I nurse helps us all to feel like a team. Plus, it’s wonderful for the baby to be exposed to reading on a regular basis. It’s never too early for storytime, mama! After feeding and burping, we try to do just a few minutes of tummy time with the baby. Just watch closely for tiredness signs, and beat those yawns! You don’t want to wait too long to put the baby down for a nap. Awake times are really not that long in the newborn stage. If you’re looking for a more in-depth plan on teaching your baby to sleep and nap well, I highly recommend the book “The Happy Sleeper” by Heather Turgeon and Julie Wright. One of the techniques is called the Sleep Wave, which is the absolute perfect balance between attachment parenting and cry-it-out techniques. This book is a mama-friendly, baby-friendly, science-backed, and practical guide for helping your baby sleep well. A friend of mine recommended it to me, and I’m passing on the favor! 11:30 AM Baby down for a nap. Playtime for the big kiddo. I try to let my son play independently during this time. I take a few minutes to do a few chores and get lunch ready. 12:00 Noon Lunchtime 🙂 Then clean up lunch and read a quiet book. 12:30 Naptime or quiet time. During this time, I blog or complete freelance work. Anything that I need to get done on my computer I try to work into this time when both kiddos are asleep or playing independently. 1:30 PM Baby wakes up. Change diaper and nurse. My baby is generally a bit more sleepy during the afternoon, so I try to keep her awake time more mellow while my son is doing his quiet time. We read or play on the bed, and I keep my bedroom more dimly lit for this awake period. 1:30 PM Big kid is up! After at least one hour of quiet time or naptime, my son is usually up. Occasionally he will fall asleep and nap longer than an hour, but usually he is ready for quiet time to be over with after his hour is up. I’ll let him help snuggle the baby for a few minutes. 2:30-4:30 PM Baby down for a nap. My preschooler will play outside while I sit on the porch. Did I mention how much we love, love, love outdoor play? Sometimes I’ll take our portable bassinet to the porch and let the baby nap out there while we get some fresh air. Or, we’ll set up the baby in her room while I keep an eye on her with our video monitor. We recently got this Summer Infant In View 2.0 video monitor and I’d highly recommend it! The video feed is crisp and clear, and the range is great. I can carry it in the backyard and still connect to her camera inside the house. 5:30 PM Baby down for a nap. It’s time to prep for dinner! My little guy loves to sit on the counter and help me cook. Now is a great time to talk about number and counting as you measure and scoop the dinner ingredients. 7:30 PM Baby wakes up. I’ll usually give her a warm bath in the sink. After her bath, I’ll change her into pajamas and turn down the lights in the bedroom. This time when I nurse, I’ll do my “nighttime” routine. In a dark room, I’ll nurse on one side, burp and swaddle, and then nurse on the other side. We learned from the school of hard knocks that rocking and bouncing to sleep sets a baby up for some bad sleep habits. With that in mind, I generally try to put the baby down sleepy but awake in her bassinet. While I’m taking care of the baby, my husband will give my preschooler a bath and get him ready for bedtime. 8:30 PM Bedtime for the big kid! Our bedtime routine these days looks like prayer with mama and daddy, a big tackle hug for daddy and a sweet kiss for mama, and then into bed! My son loves watching his animals on the ceiling with his projector and sound machine. 10:30 PM Baby wakes up. Change diaper and nurse. Again, I nurse on one side, burp and swaddle, and then top her off on the other side. This period is usually her more fussy time, so we may nurse before 10:30 if she is agitated. 12:00 Midnight Dream feed for the baby. I try to keep her almost asleep if possible! Just awake enough to fill up her belly. Night time feedings While I set the general feeding schedule during the day, I let the baby set the schedule during the night. She will usually wake up about 3:30 AM or so, and then at 6:30 or 7:30 AM. My sweet, sweet husband usually takes care of the diaper change and then hands the baby off to me to feed. Remember, nurse, burp and swaddle, and then nurse on the other side! If she wakes earlier than 7:30, I still wake her up at around 7:30 to nurse. I want to start setting a predictable wake up time each morning so that I can count on her sleeping in to that time as she gets older! 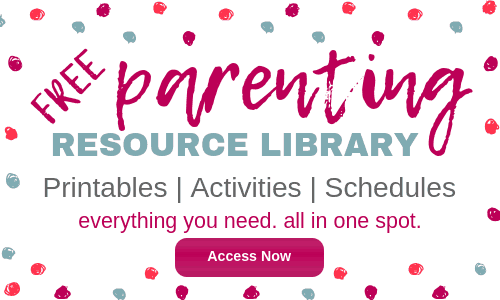 Having a preschooler or toddler and newborn schedule takes such a weight off my shoulders! Again, we rarely follow this routine to the minute, but knowing that we have a goal and a plan for the day makes my life so much easier. 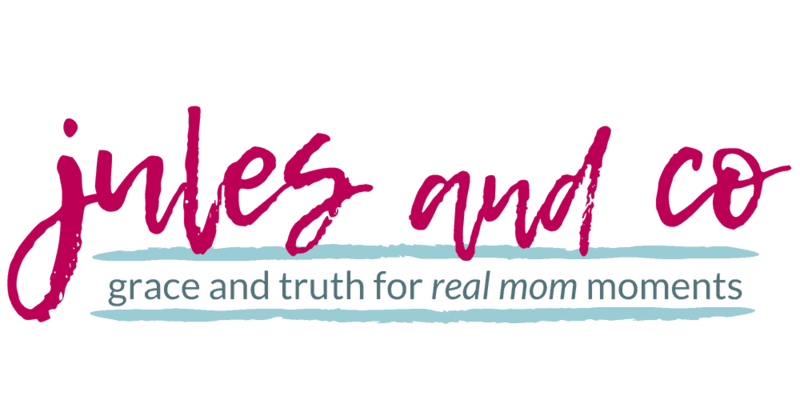 If you’re looking for more great scheduling advice, I highly recommend this post from Rachel at A Mother Far From Home. Or for a complete game plan for creating routines for your children, let me walk you through everything step by step in my eBook, Everyday Calm. 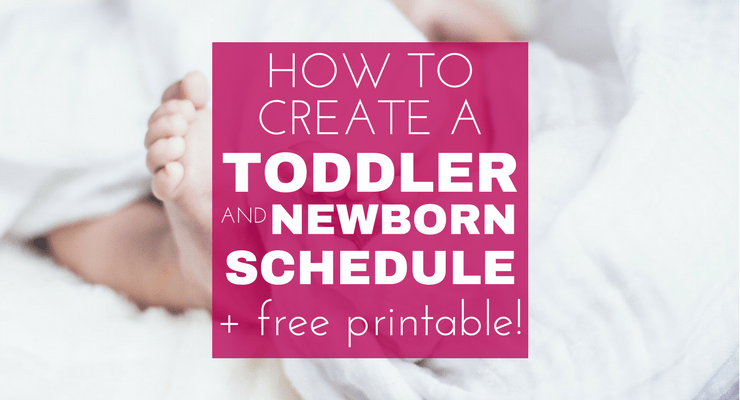 Did this schedule help take some of the overwhelm out of balancing your toddler and newborn schedule? Let me know in the comments! I applaud you for grabbing ahold of your life and the lives of your two little ones. And thanks for sharing the results! I currently have a 2 1/2 year old son and expecting baby’s girl in 7 weeks. I’m having trouble wrapping my head around how to meet the demands of two very different needs. This was so helpful! Thanks for sharing. Love this article! Coordinating schedules is a MUST with Baby #2! My 5 year old just started K this year but I have a 3 year old and 5 month old at home too. Thanks for the tips! Hi there, this was definitely helpful. I’m still tweaking my routine with a 15 month old and 1 month old. Can you tell me what time of day you typically squeeze in stuff like showering, exercise, laundry, and generally cleaning up? Hi Jade! One of the things that helps me is to take my showers at night, after the kids are asleep. In the morning you can just get dressed for the day. You’ll save so much time and feel more prepared for the day. With a one month old, that routine definitely takes priority. And I’d guess your 15 month old is taking 1-2 naps per day? What I do is power clean up sessions. 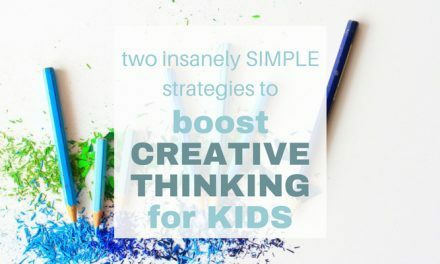 You can either do this while your kids are napping, and juggle the schedule around a bit so they can have one nap at the same time. 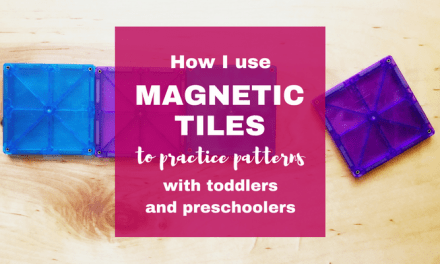 Or while your one month old is napping, set your toddler up with an independent no-mess activity like magnet blocks on the fridge or books in the high chair. And just aim for 10-15 minutes of really fast cleaning once or twice a day 🙂 You can also throw a load of laundry in 5 minutes before they wake up in the morning. Switch it to the dryer at lunchtime or naptime, and then fold it after bedtime. It’s not perfect, but it works! Just one load a day will keep you from being overwhelmed. Hope this helps! It will get easier, I promise. Hang in there!